It may not get all the attention lavished on the Industrial Internet of Things (IIoT), virtualization, cloud computing and other forms of digitalization, but none of these Johnny-come-lately phenomena would be as powerful without the wireless technologies supporting them 24/7/365 from behind the scenes. In addition, wireless can still bring in signals that can't be obtained with any other technology, or would be prohibitively costly to acquire even if other networking methods could do them. 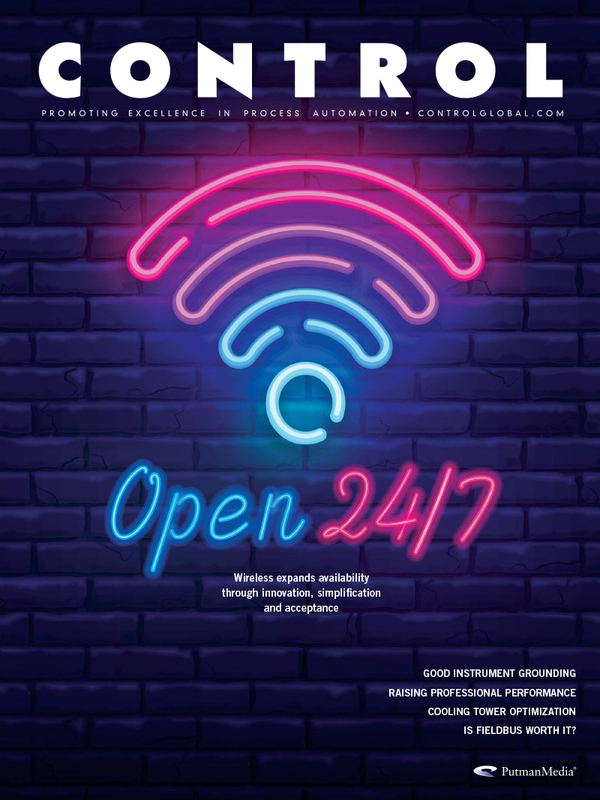 Also in this issue are feature articles about good instrument grounding and the compliance benefits of a SCADA upgrade at a wastewater treatment facility. Find all of this and more in the November issue of Control.